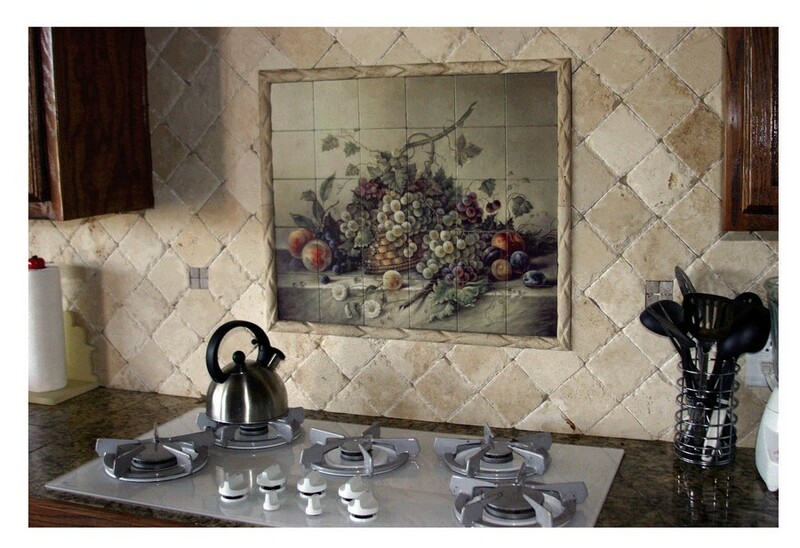 Choosing a backsplash is a creative and responsible activity. For many kitchens, especially when it comes to loft, minimalist, Mediterranean and some other styles this part of the room becomes one of the most vital interior details. Besides, when you’re cooking or just spending time in the kitchen, the backsplash is something that your eyes will catch 9o% of the time. So, it has to be practical and easy-to-clean, pleasing to the eye and festive, and delicate and unobtrusive at the same time. 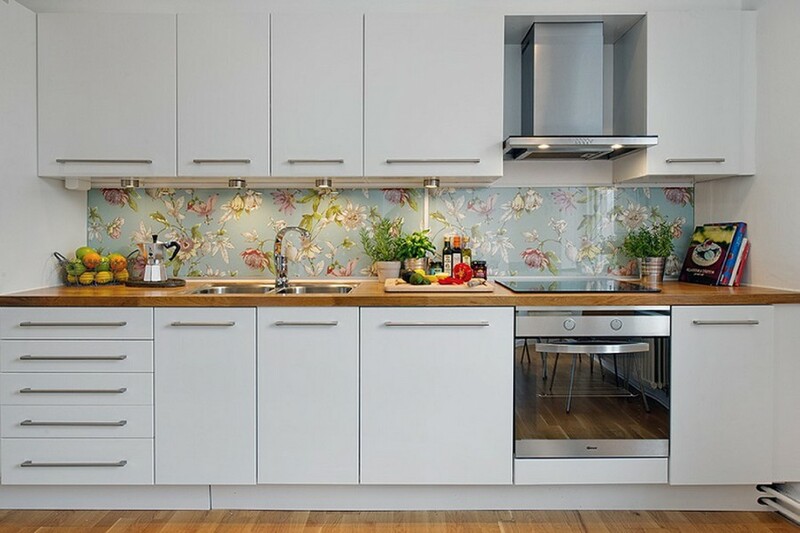 That is why today we’d like to show you 11 absolutely different backsplashes for any style, taste and budget and in absolutely versatile finishing materials. 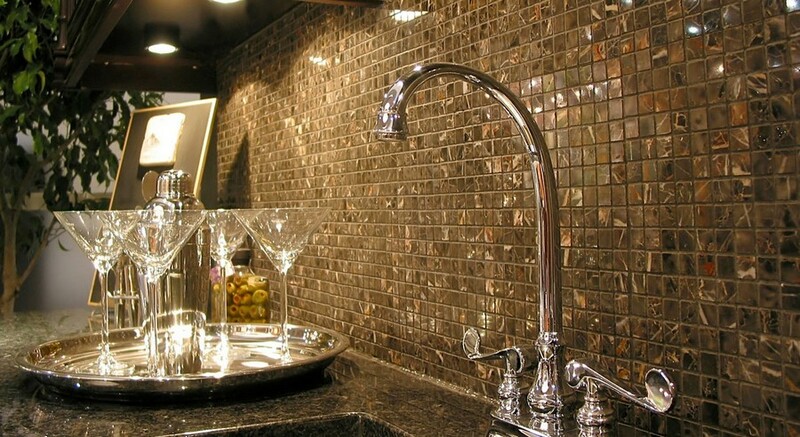 One of the most popular materials for backsplashes for today is mosaic tiles. They can be made from ceramics, glass or even natural stone. This is a win-win option for uneven walls, since mosaics may disguise any surface imperfections. With the help of this covering you may create trendy ombre effect (soft color transitions) or, vice versa, a bright wall composition. They key thing about mosaics is to use high-quality waterproof grout. A very trendy kitchen designer trick is the extension of the backsplash up to the ceiling, i.e. turning it into a decorative finishing of the entire wall from the countertop to the ceiling. Such a solution is more relevant to big spaces, where at least one wall (completely or at least partially) may be left free from top cabinets. Such a makeshift “wall mural” looks especially great when made from big-scale tiles. And cleaning this surface is as easy as common ceramic tiles. 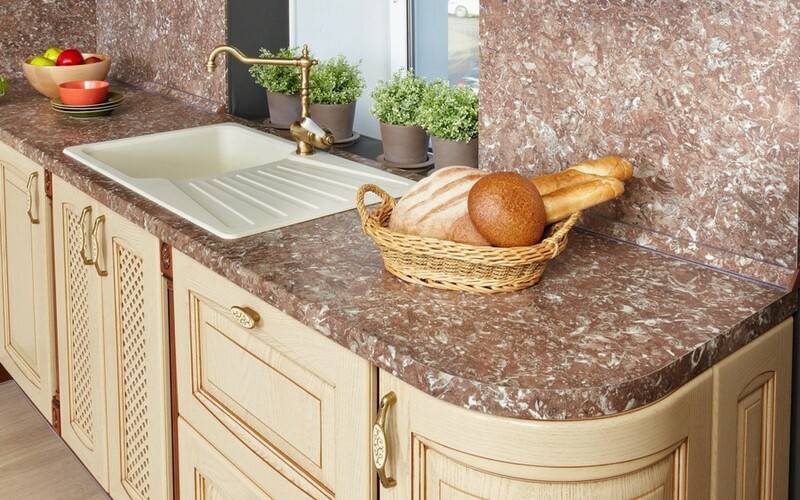 Perhaps, one of the most practical solutions is a backsplash made from composite stone. 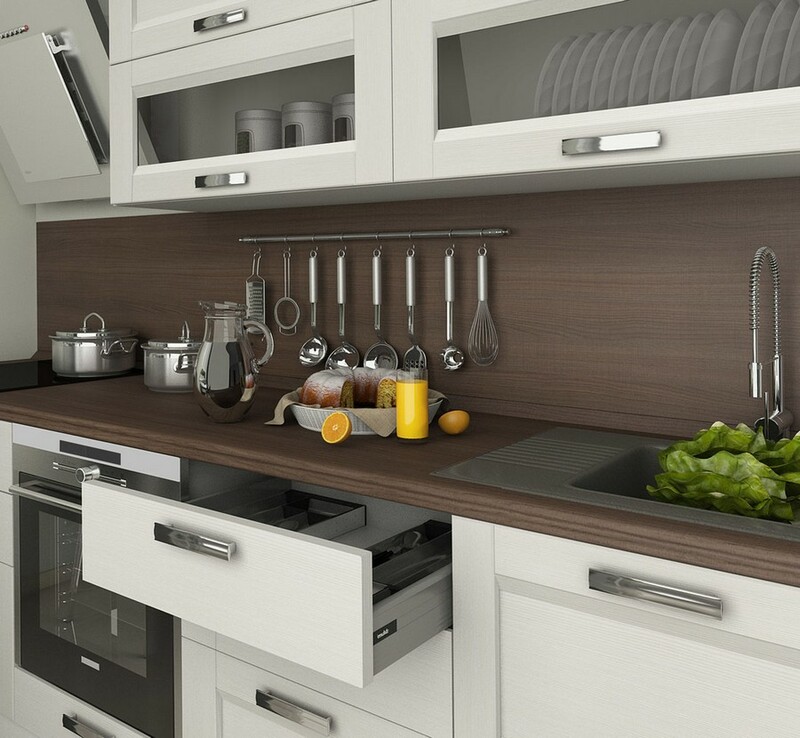 In many cases it’s coupled with a worktop in the same materials, which forms an absolutely seamless construction. With no joints in which moisture and bacteria may get, this backsplash becomes the safest choice for admirers of functional aesthetics and cleanliness. The only disadvantage of this finishing is that it’s extremely vulnerable to stains of red wine, iodine and brilliant green dye. Interiors of studio apartments in loft style can’t do without faux brick tiles. In such environments a backsplash made from this material would be especially welcome. Just make sure you soak them with special solutions to protect the surface from stains. Such a noble material as natural stone would adorn any interior, but the best partner styles for it are classics, art-deco and contemporary. It has amazing natural texture, but you should be aware that soft species of stone have porous structure and hence should be additionally protected from moisture. Laminated chipboards are becoming increasingly popular thanks to their diverse design potential, trendy eco-style look and simple installation. But according to fire safety law, such a backsplash is admissible only in kitchens equipped with electric or induction cookers. Undoubtedly, the most affordable material for a backsplash is waterproof paint. You may safely coat all the walls with it. 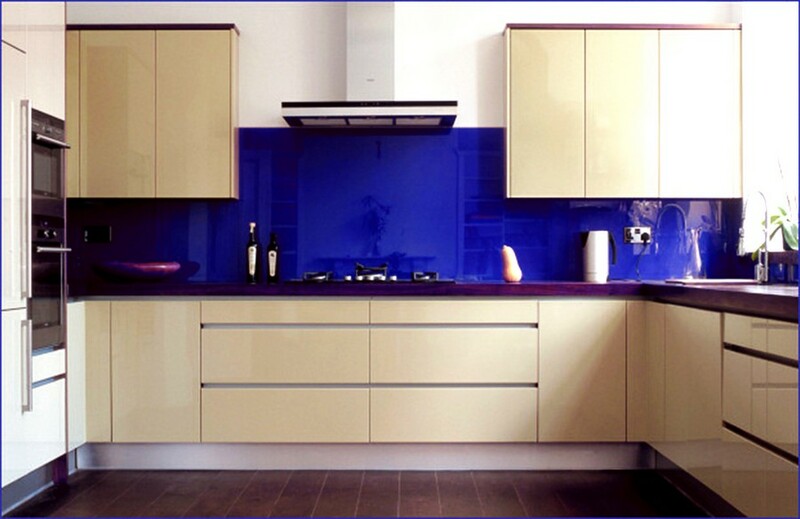 And if you chose the color well, your kitchen would look absolutely non-standard and fabulous. The painted surface can be washed with any detergents that are safe for paint. 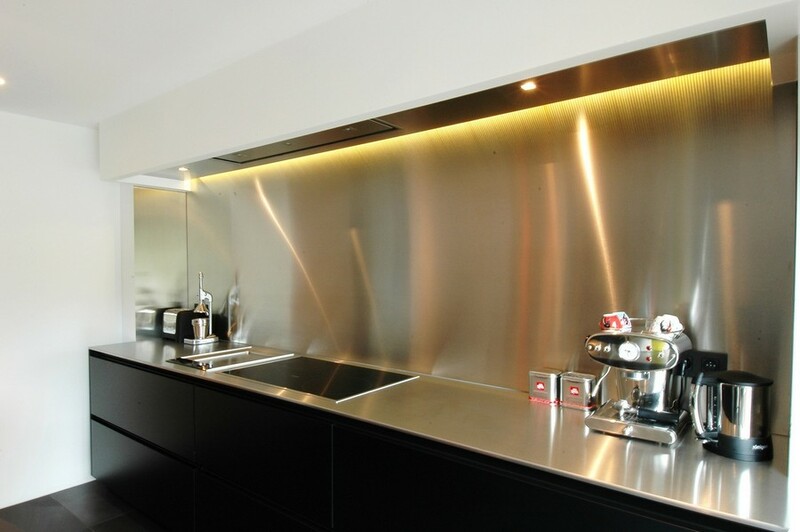 Brutal minimalism and industrial motifs can be safely complemented by an expressive backsplash in stainless steel: a metal finish is just what an ascetic environment needs. If you had your heart set upon this type of material, note that it requires flawless installation. So, you’d better hire a specialist and prepare the surface ideally beforehand. Cleaning such a backsplash is possible only with special solutions for stainless steel and never with abrasive detergents. A contemporary and stylish option is a backsplash in matte or transparent tempered glass. The latter gives plenty room for imagination: you can just pick up any “vulnerable” wall covering you like – wallpaper, textile, photos, or decorative textures – and protect it with a piece of tempered glass. 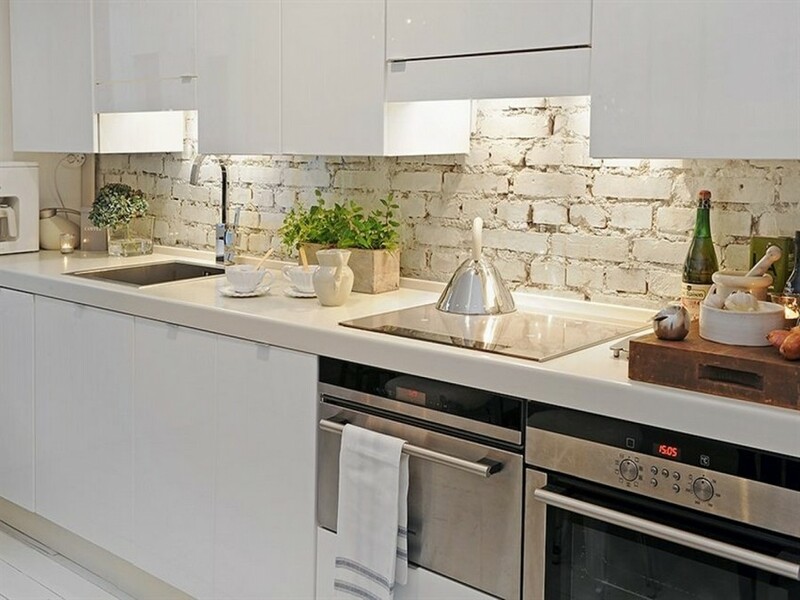 Such backsplashes are pretty easy to care – you may safely clean them from grease and moisture with the same detergents that are normally used for ceramic tiles. 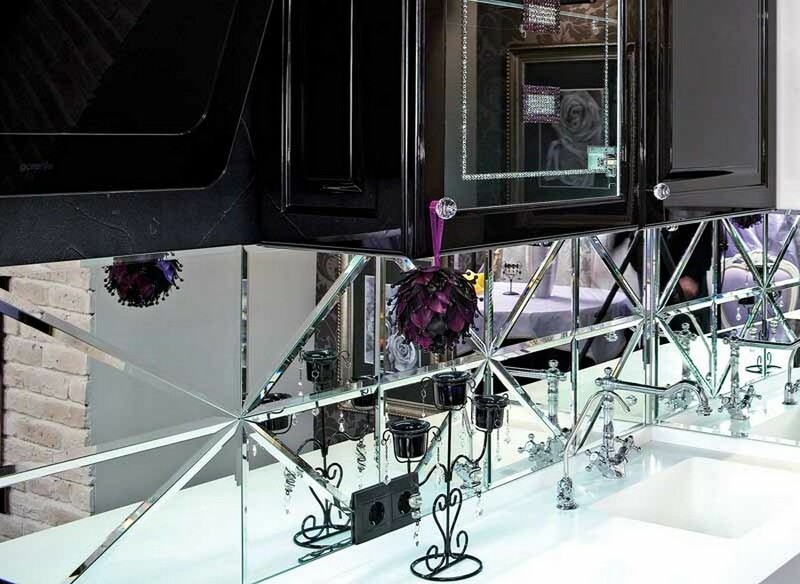 Perhaps, the most impressive visual effect can be created by a mirrored backsplash. A large-scale mirror (sometimes, even wall-to-wall) creates the sense of optical expansion, while small mirrored tiles with beveled edges form a complicated and detailed play of reflections. 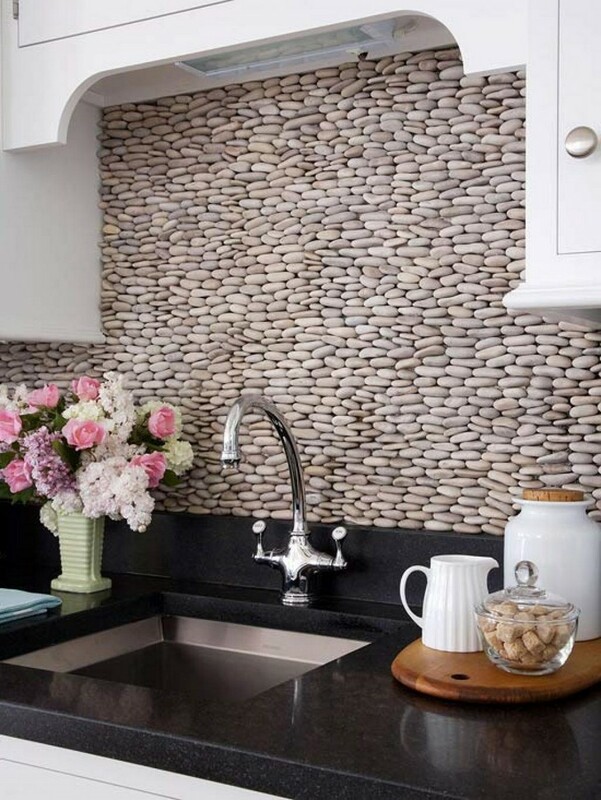 But such a backsplash should be always pure clean. This type of material can be wiped with a soft tissue and glass cleaning liquid. Colored glass on a backsplash would look especially spectacular in monochrome spaces that badly need a splash of color. Sometimes just one accent is enough to give a new fresh breath to a kitchen interior. 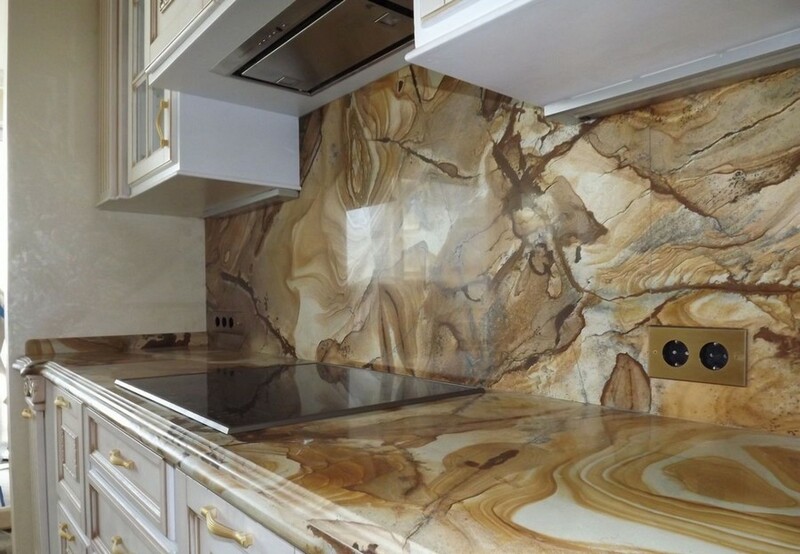 We hope that our post was useful to you and now your choice of backsplash material would be more well-thought-out and reasoned. Good luck!